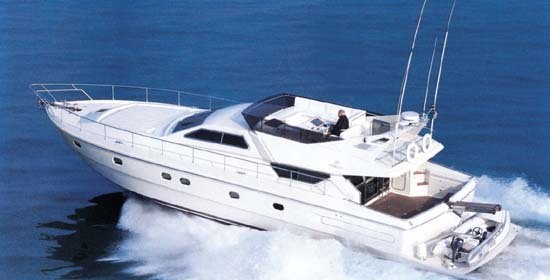 THREE K is a Ferretti, a motoryacht with sleek, elegant lines, beautiful to see, easy to handle, wonderful to live. 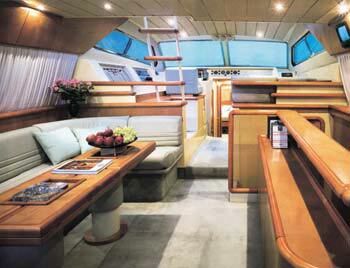 The careful choice of the materials and the accurate finishing touches make the roomy and elegant saloon particularly inviting. 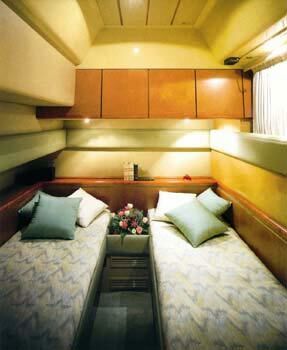 The spacious and luminous master cabin, with separate bathroom, is particularly comfortable and refined, due to the top quality materials used and the special attention paid to details. 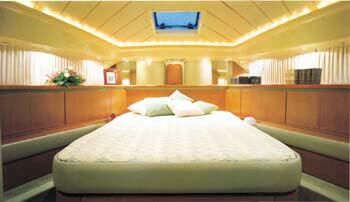 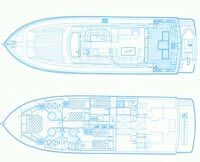 For the guests maximum comfort THREE K has two twin cabins, each with ensuite bathroom.